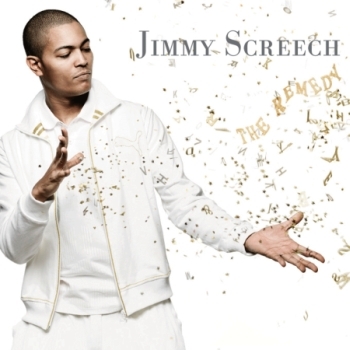 Coming through the ranks of the edgy and vibrant inner London reggae and bashment club scene comes Jimmy Screech. Over the last few years Jimmy has been making inroads through the underground, releasing singles, doing gigs and distributing mix tapes establishing his name as one of the finest MC’s on the block. The London urban scene has always thrown up a wide variety of talented DJ’s, remixers and MC’s but now it’s Jimmy’s turn as he prepares to release his new album, ‘The Remedy’ released through MAP Music/Proper Distribution in May. Jimmy’s story begins in the estates of Nunhead, South East London where the dominant music was hip hop and reggae and it’s this heady reference to 2 of the most influential music forms of the last 30 years which gave the young Screech the inspiration for the tracks on ‘The Remedy’. Jimmy’s music covers a broad range of different influences from the aforementioned reggae and hip hop but also dancehall and bashment. South London heroes (and past collaborator) Tippa Irie, Smiley Culture and Maxi Priest figure prominently in his career so far, all as influences but also as artists to look up to in respect. Throwing his net a bit wider resulted in lyrical inspiration coming from superstars like Bob Dylan, Bob Marley, Public Enemy, Jay – Z and Sean Paul. Jimmy’s rhyming talents were discovered by Roots Manuva in 2005 who has helped Jimmy in the studio and releasing Jimmy’s first album through Banana Klan (Root’s own label). In the past couple of years Jimmy has been busy touring (with The Dub Pistols and Ugly Duckling), releasing singles (the latest ‘Know Better’ this past January), mix tapes and live session work for 1 Xtra on the BBC. Over the last few years underground British grime and hip hop acts have been making massive headway into the top 40 as well as scooping up some impressive awards. Jimmy is a part of this thriving underground scene, “There are so many black artists doing really well. They’re in the charts constantly – this is a great time for what we do”. “All the hard work that we’ve put into this – 4 singles out in the past year – seems to be paying off now as we’re starting to get plays on Kiss FM and Radio 1”. ‘The Remedy’ is a diverse collection of tunes representing the panoramic vision to what Jimmy is doing with his music. “There’s a bit of bashment on this album but there’s also some classic reggae influences, rave, hip hop and straight up soul”. The guiding hand of his old friend and mentor Rodney ‘Roots Manuva’ Smith can be heard on a few tracks as well, “Working with him has shown me that you don’t have to sacrifice your integrity to survive”. Jimmy still lives, works and records in South East London; as true to his roots as he is to his music.